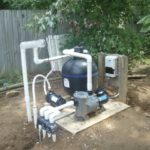 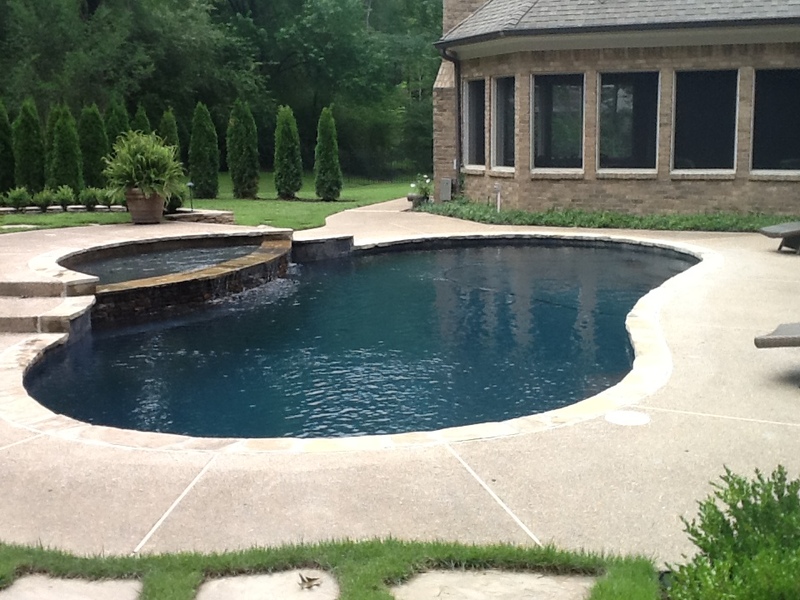 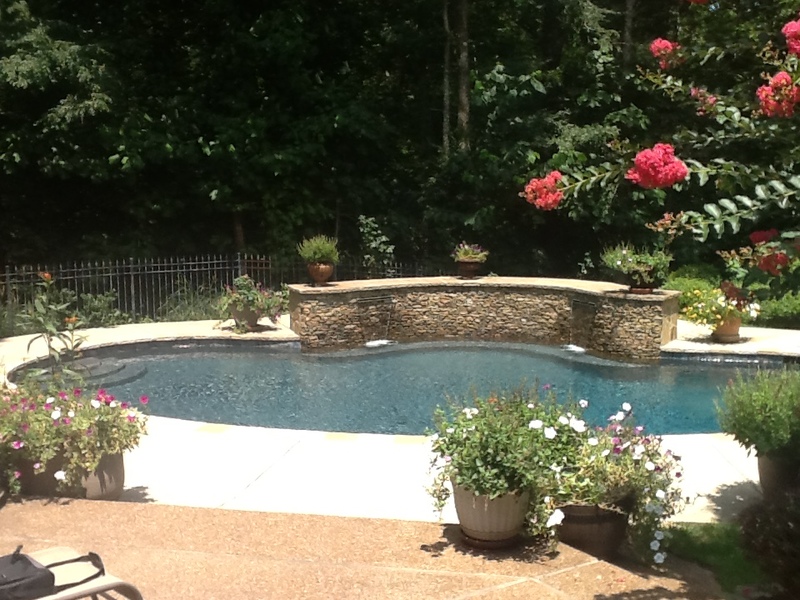 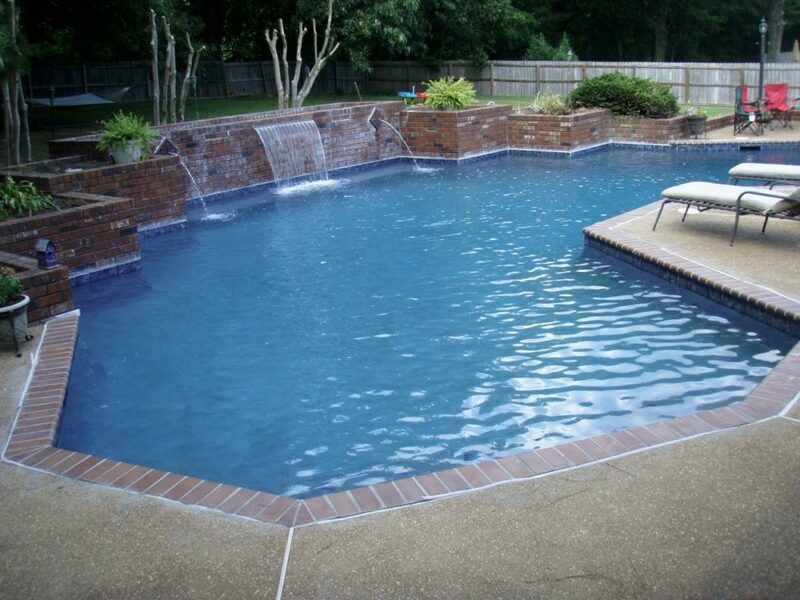 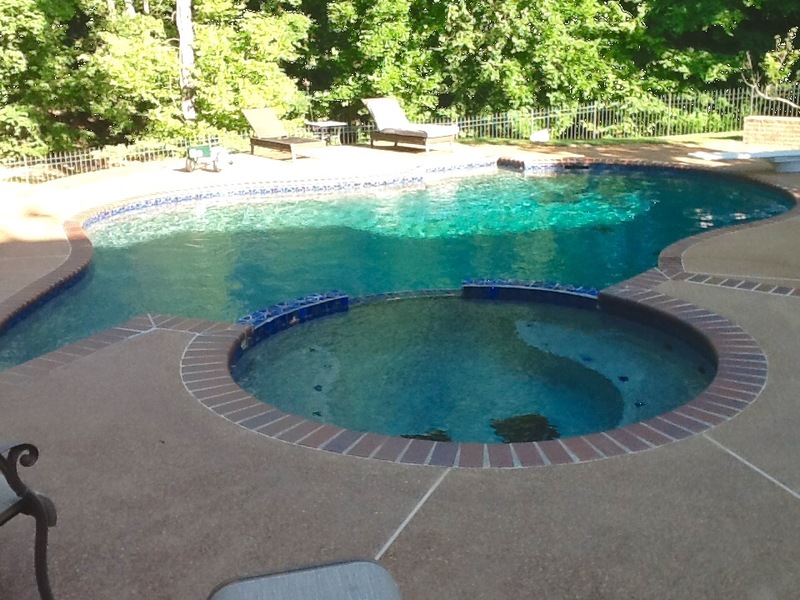 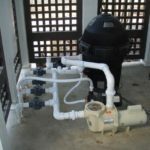 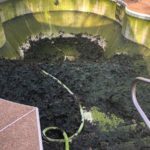 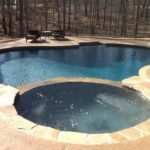 Are you thinking about updating or ready to give your old pool a new look? 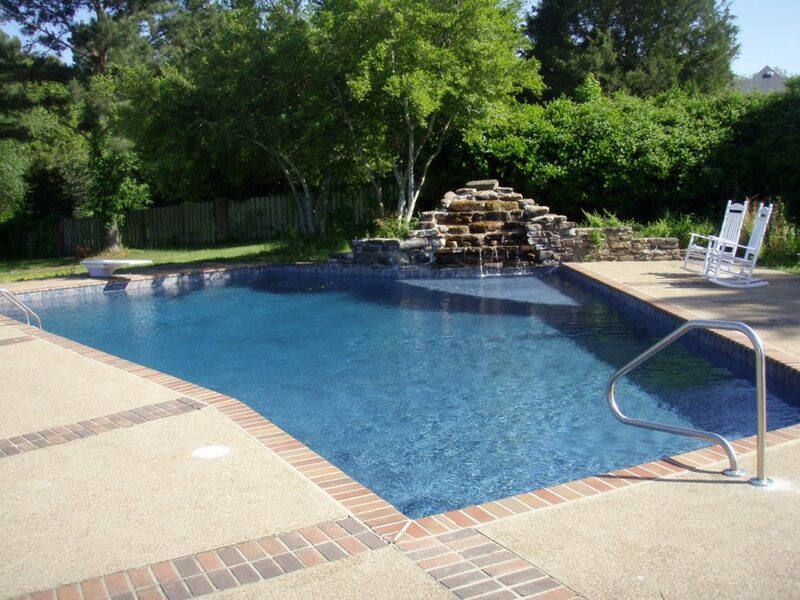 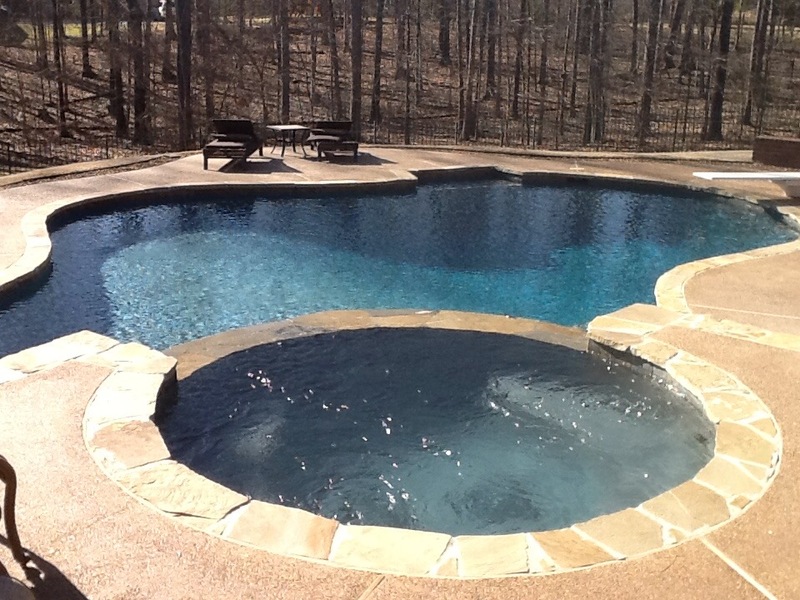 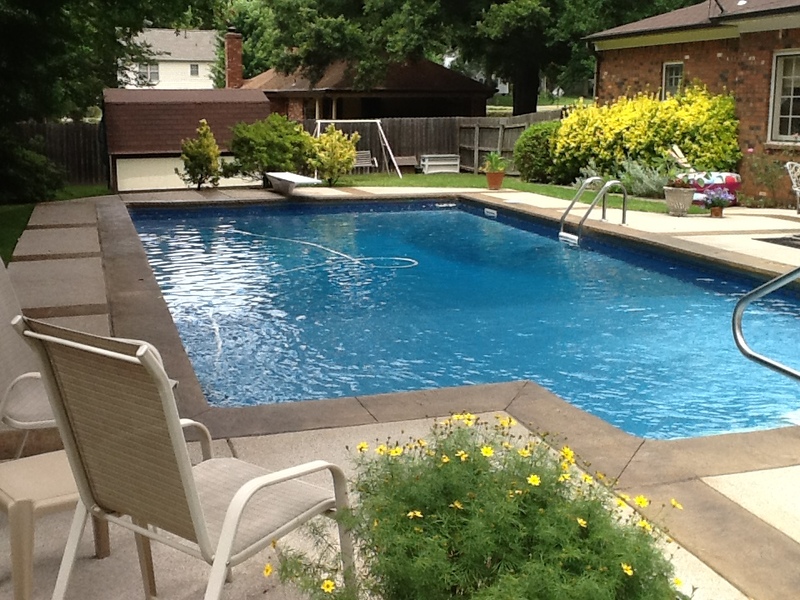 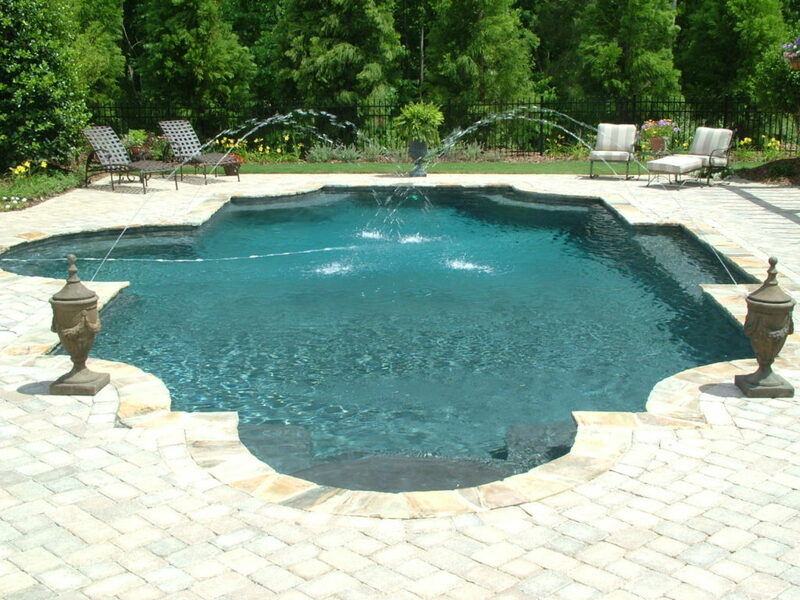 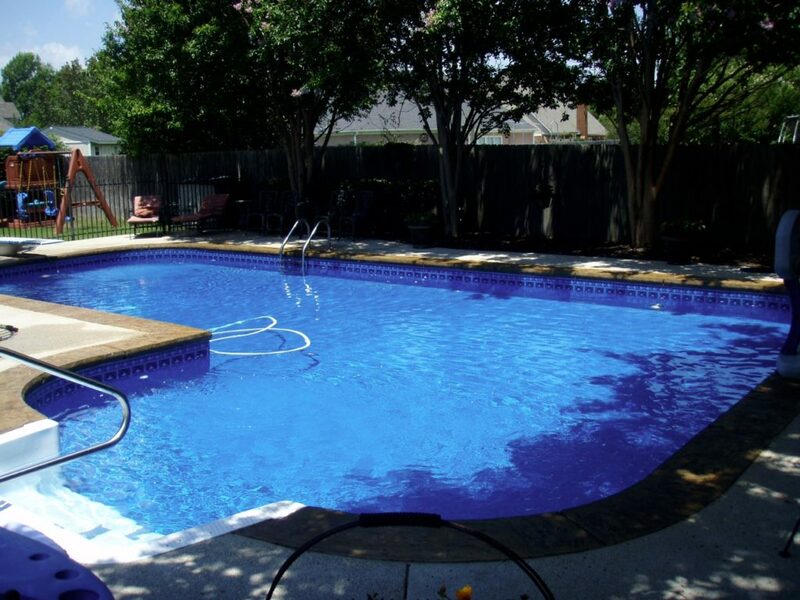 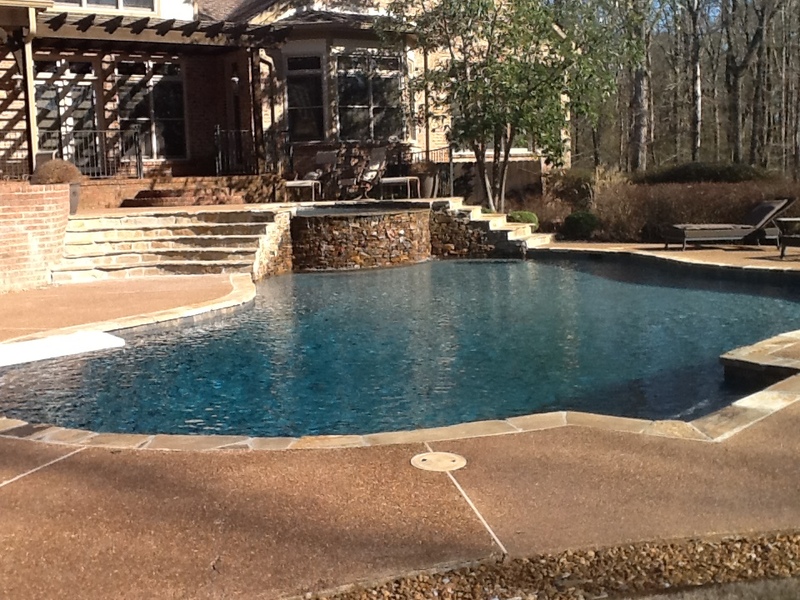 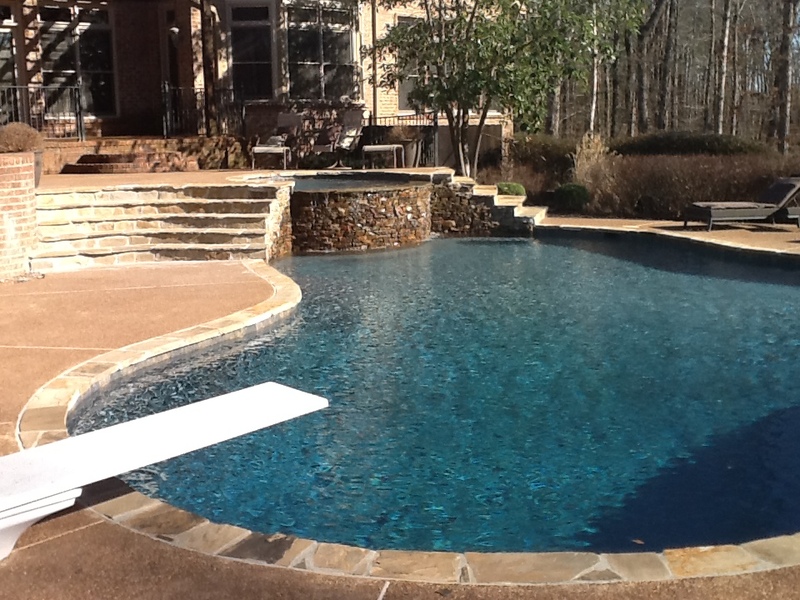 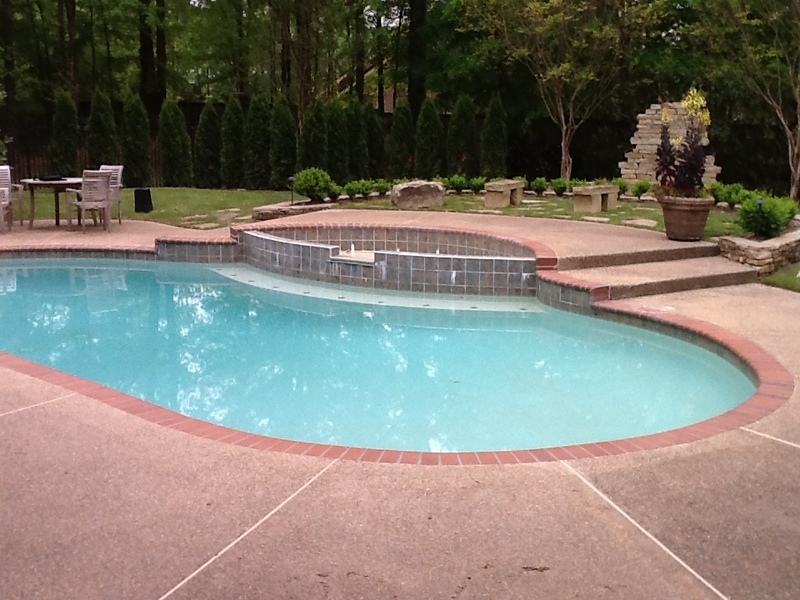 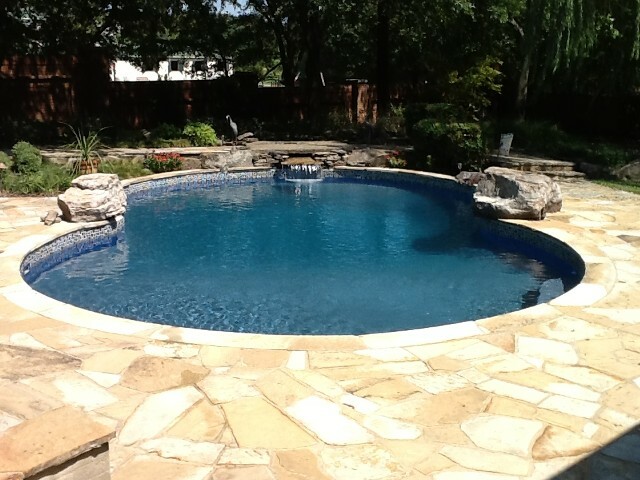 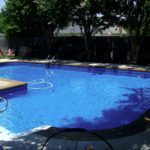 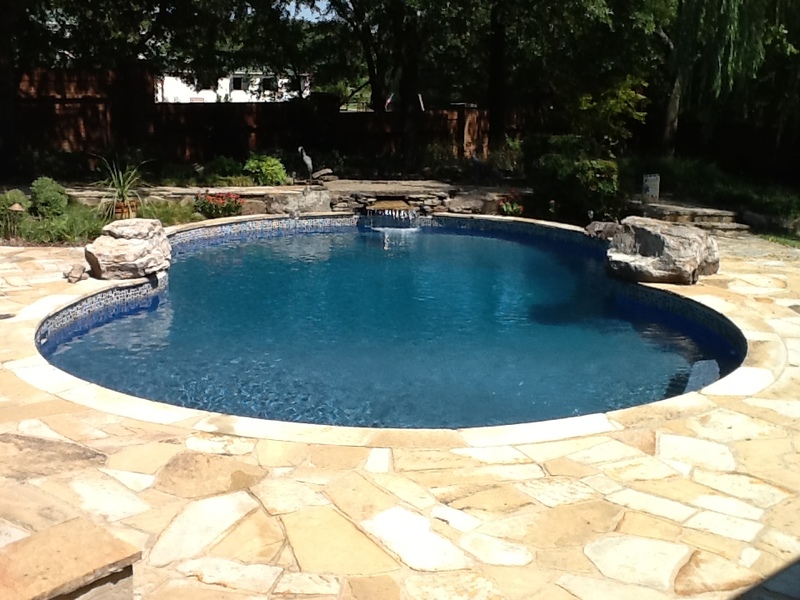 Goin' Swimmin' Pool Service welcomes the opportunity to discuss with you ways we can make your pool new again! 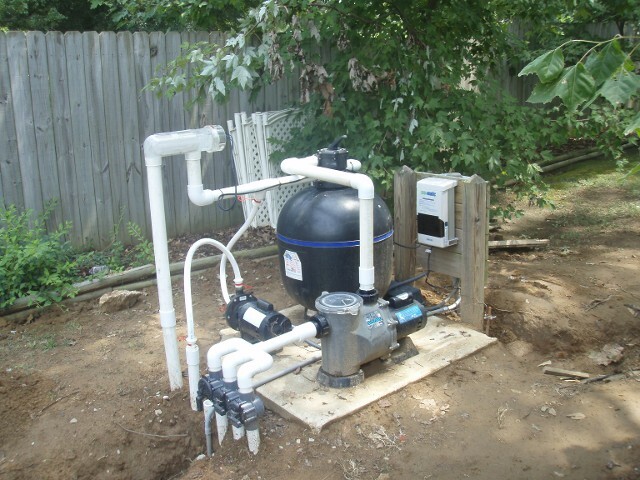 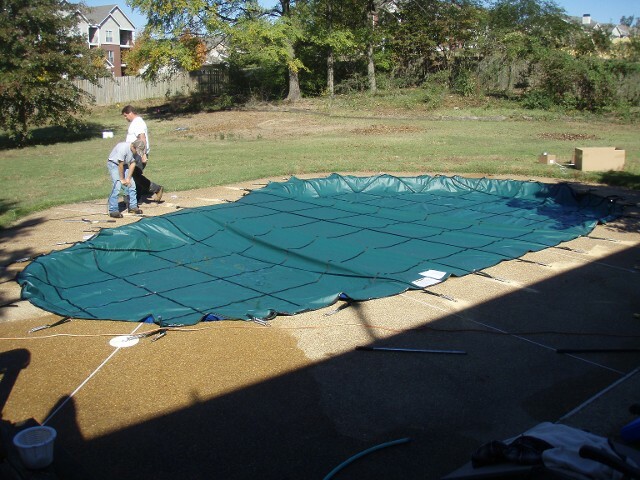 Contact Us and we will be happy to schedule a time to evaluate and give you a Free Estimate. 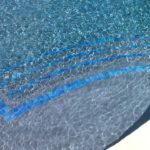 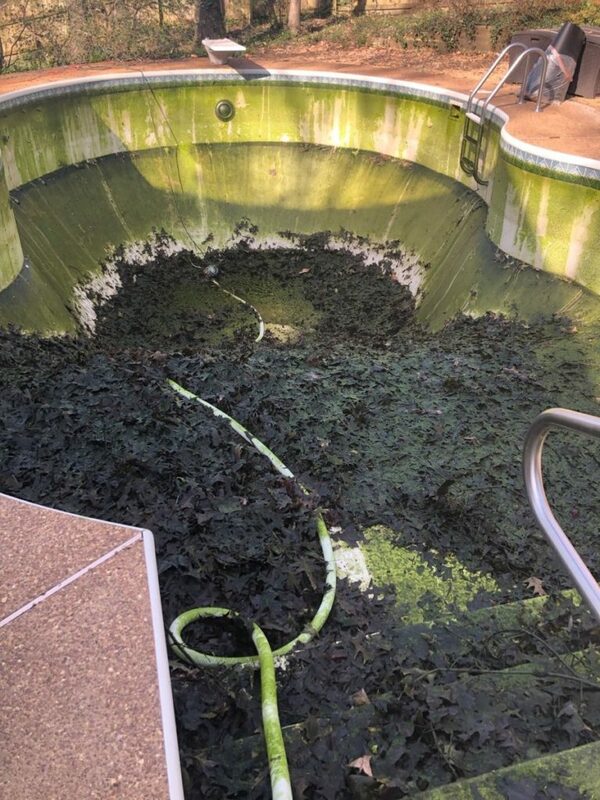 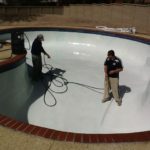 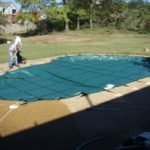 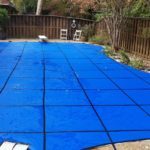 Goin' Swimmin' Pool Service can take your old vinyl liner pool and make it new again. 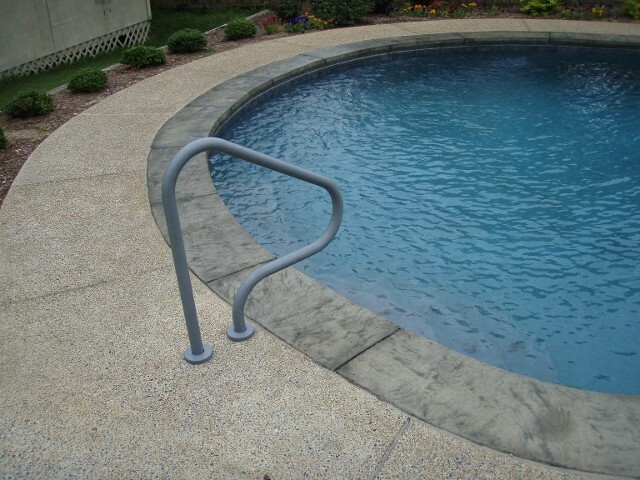 Change out your existing aluminum coping to a variety of different style copings. 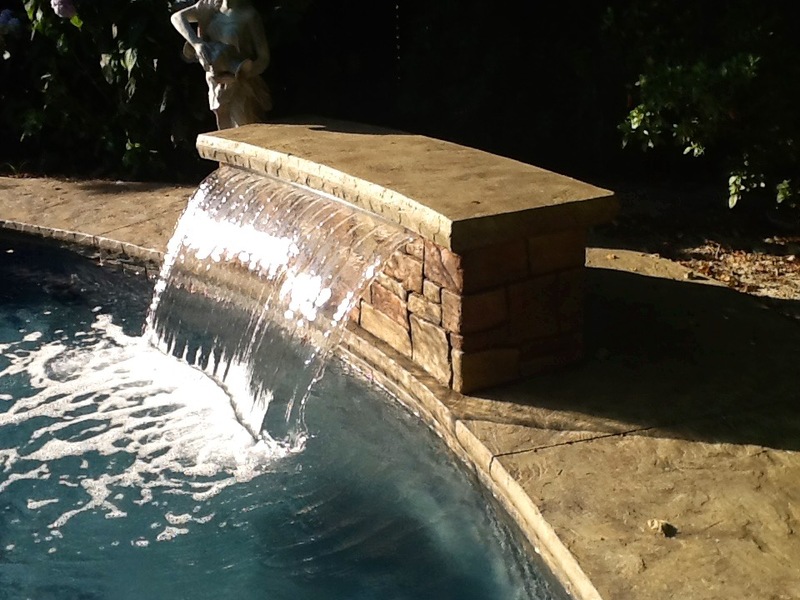 Different copings include brick bull-nose, field stone or stamped cantilever concrete coping. 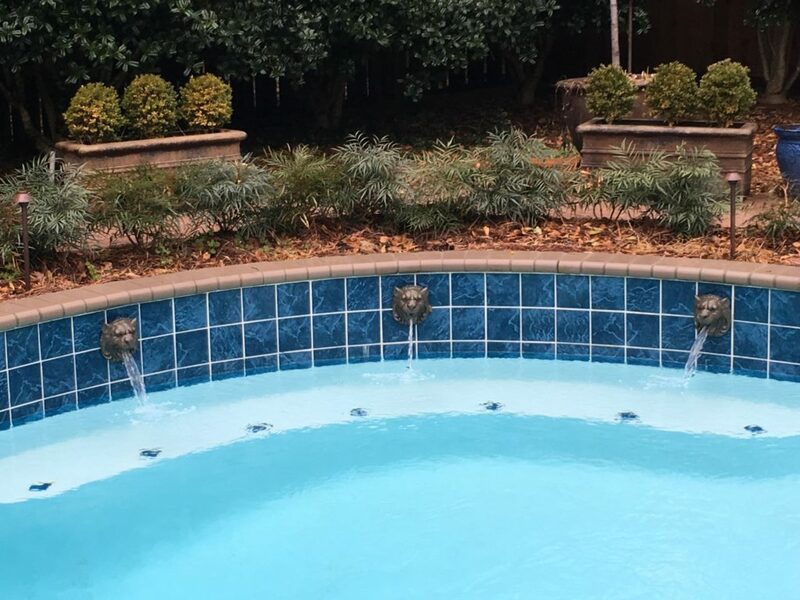 Goin' Swimmin' Pool Service is also happy to install waterfalls and fountains to add personality to your outdoor experience. 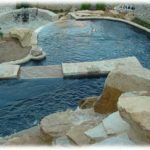 This includes rock waterfalls, sheer descents, decorative fountains and more. 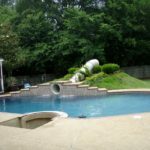 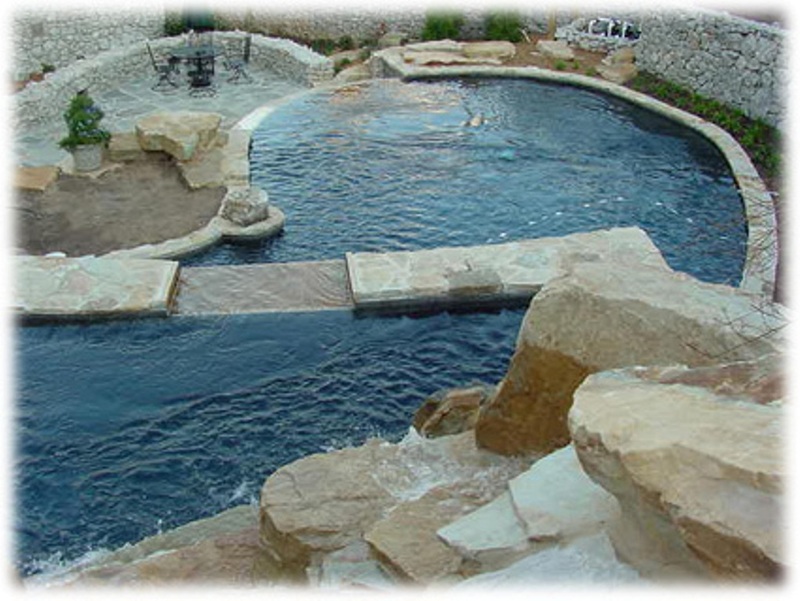 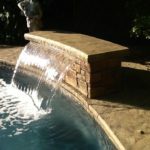 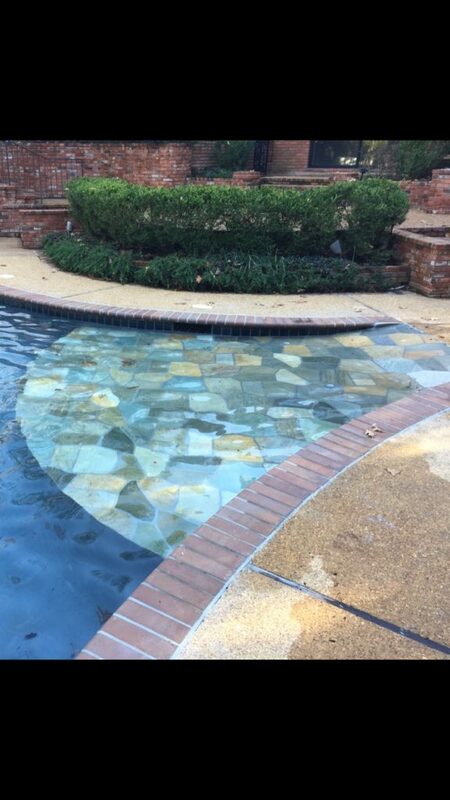 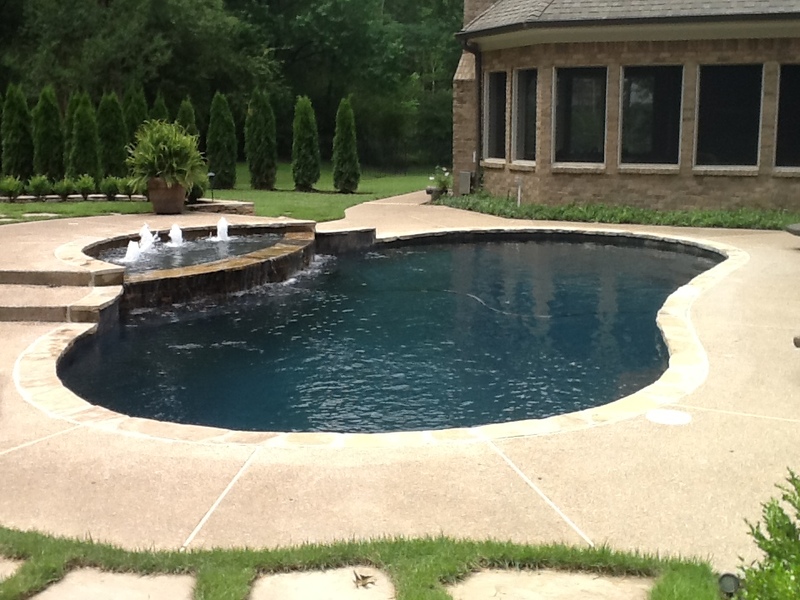 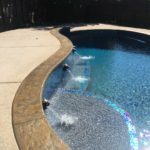 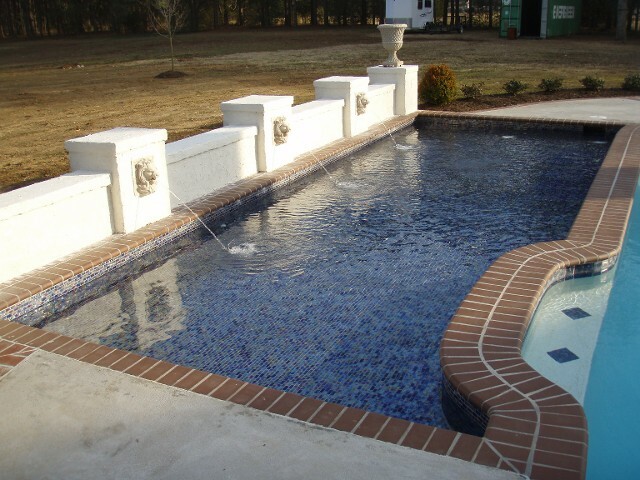 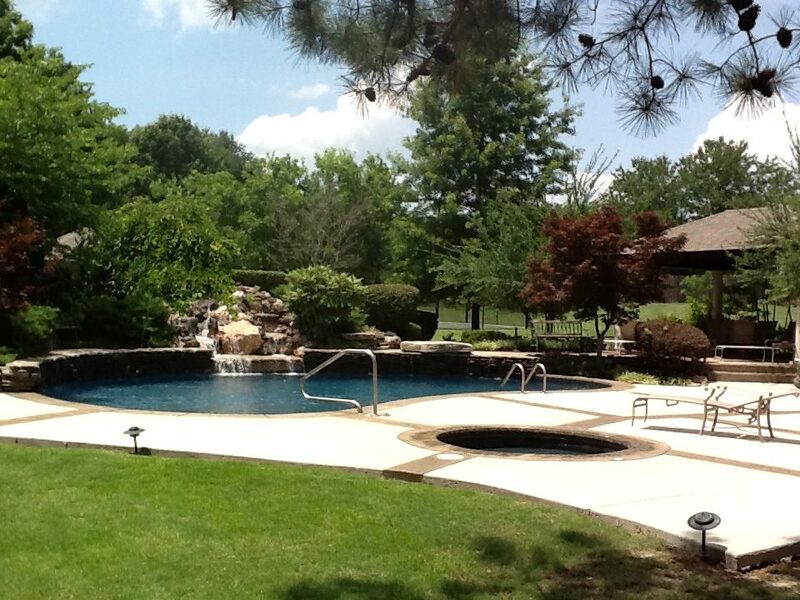 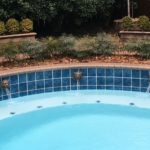 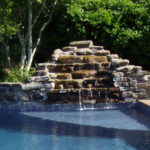 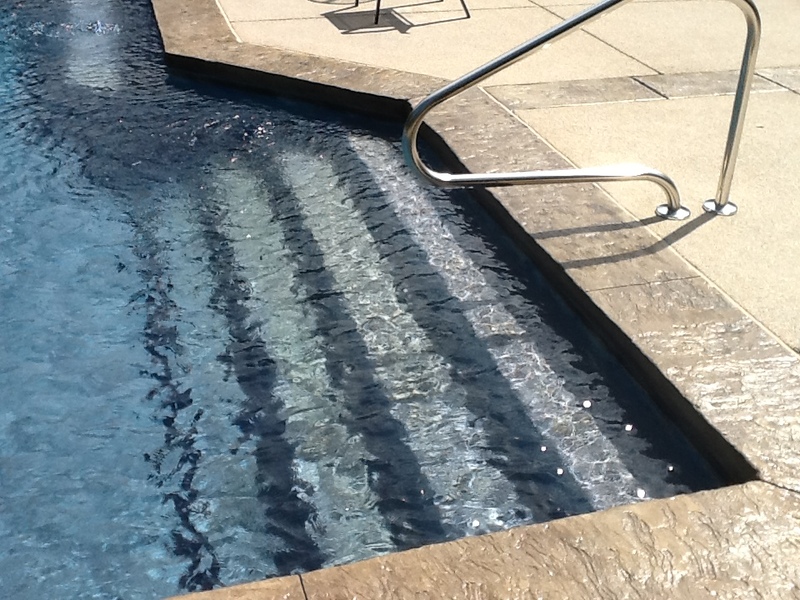 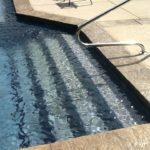 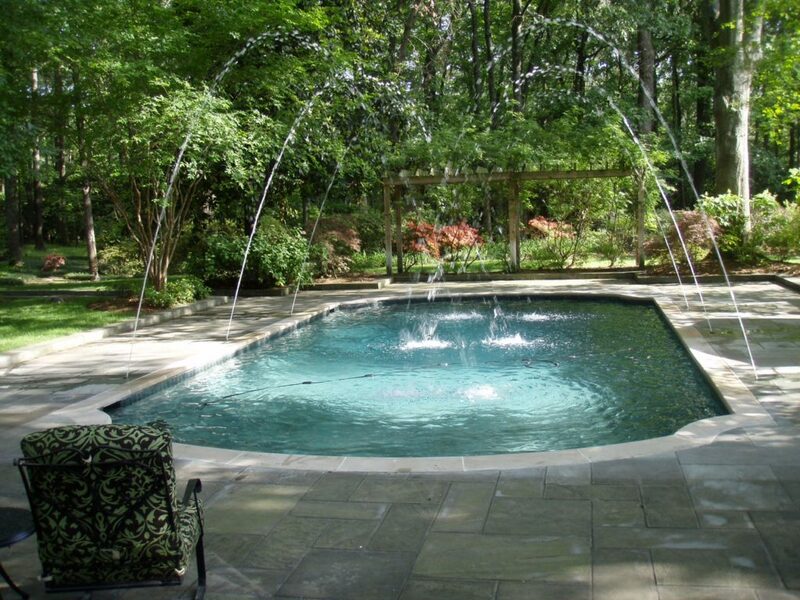 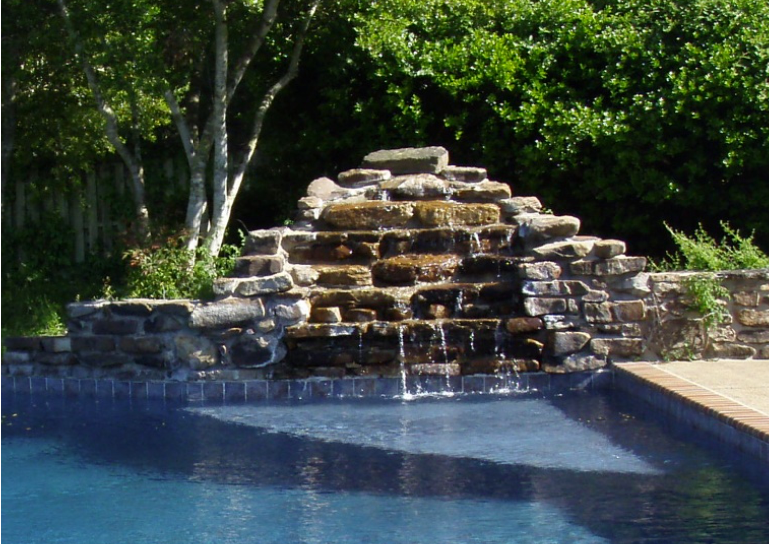 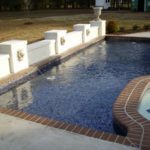 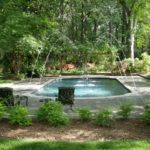 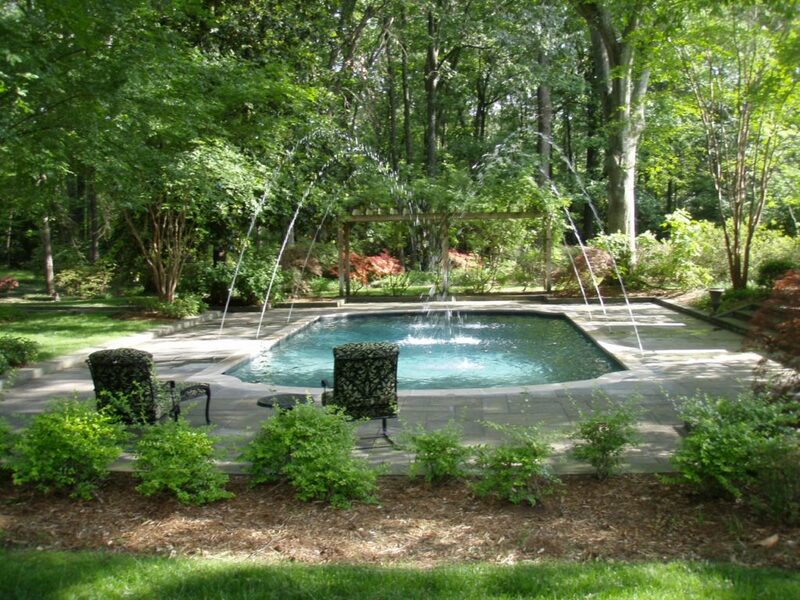 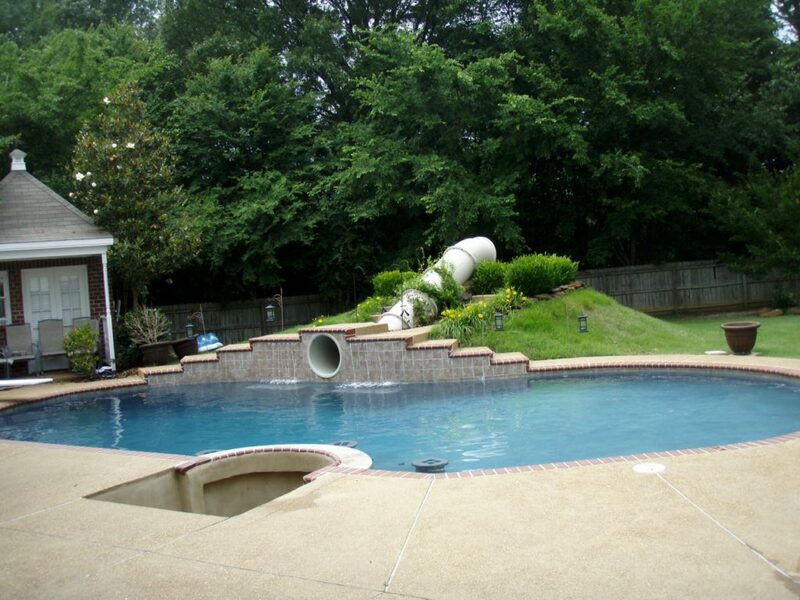 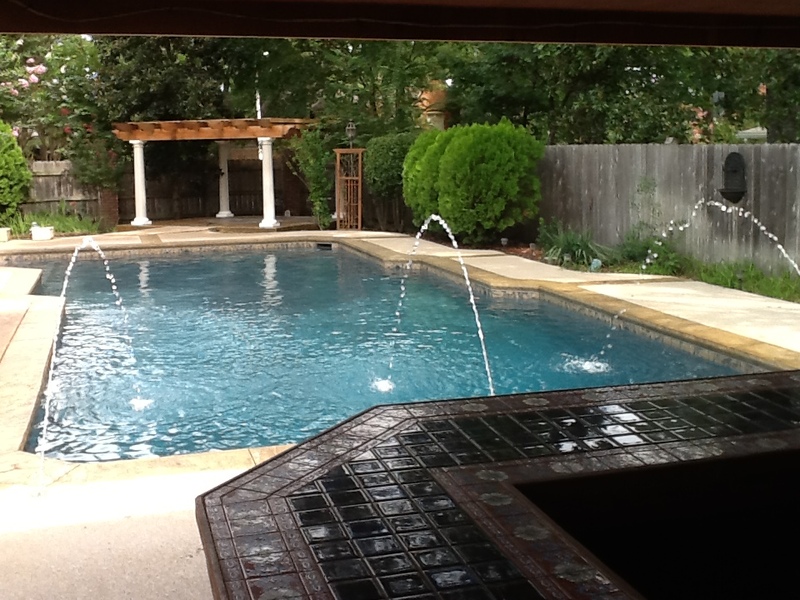 Contact Us and we will be happy to design a waterfall feature just right for your pool. 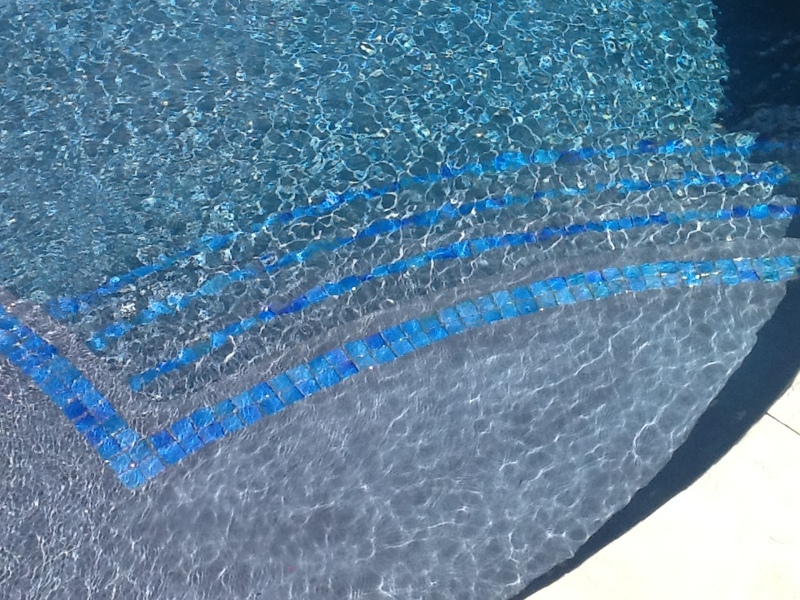 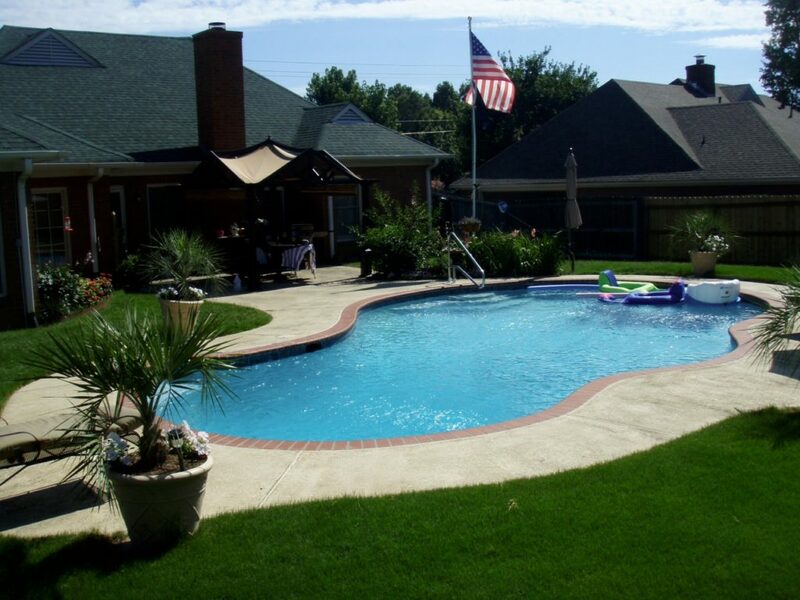 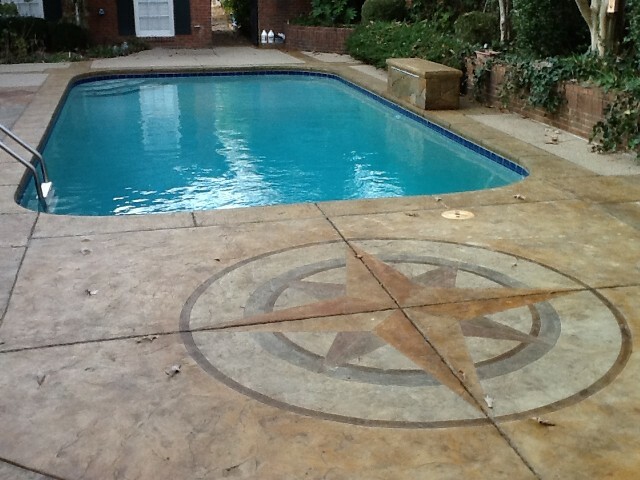 Goin' Swimmin' Pool Service is also proud to share with you our custom designed pool decks and stamped decking. 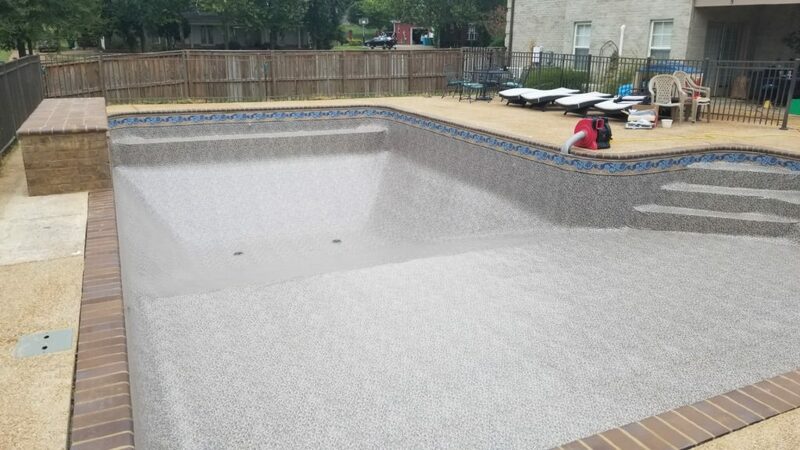 These are top quality and professional decks. 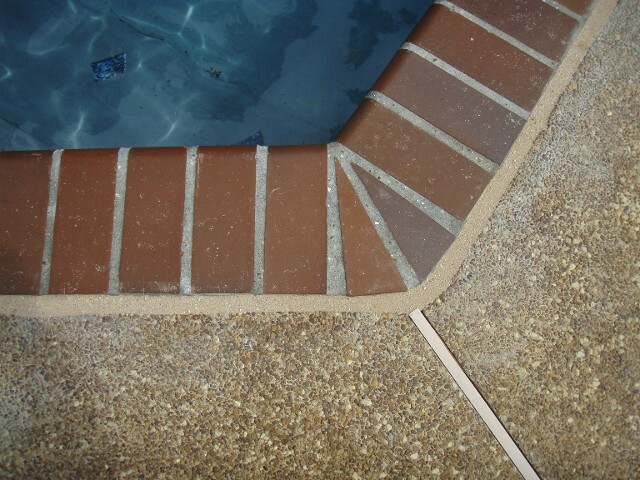 Over time, caulking begins to wear down and separate. 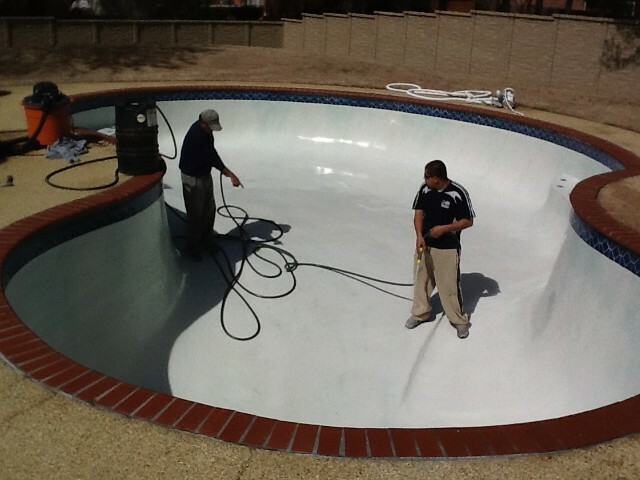 We will replace the caulking at the joint between the pool deck and the coping. 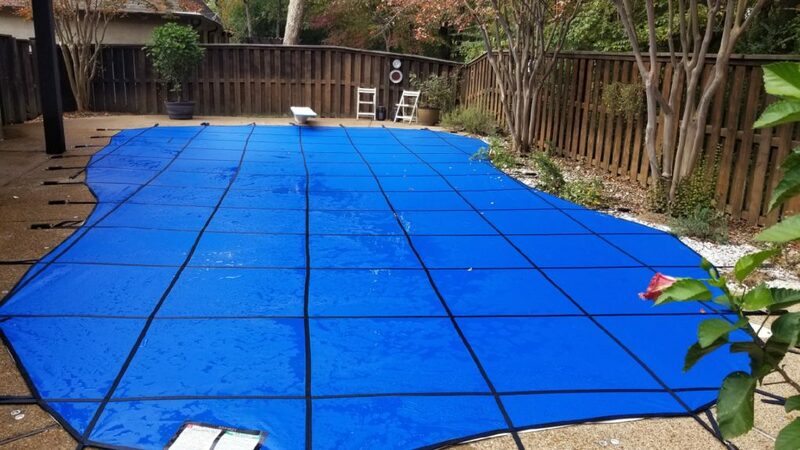 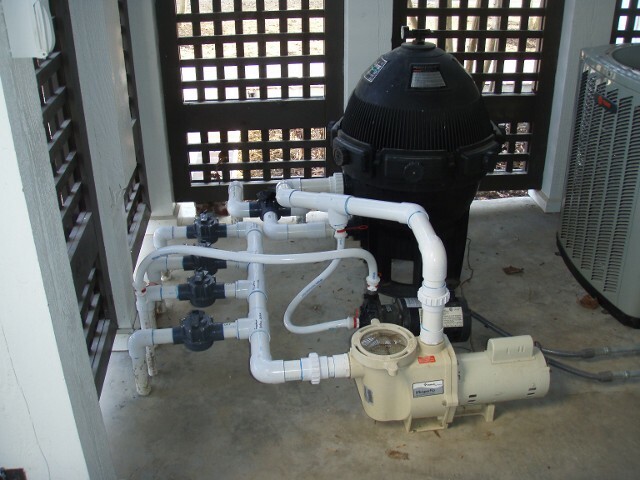 This will extend the life of your decking, to help prevent freezing, water damage, and erosion. 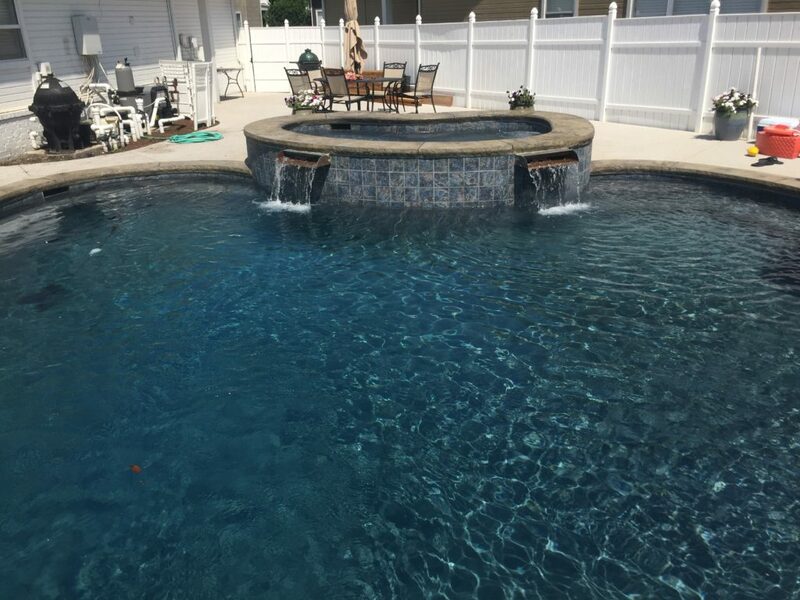 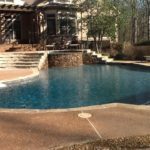 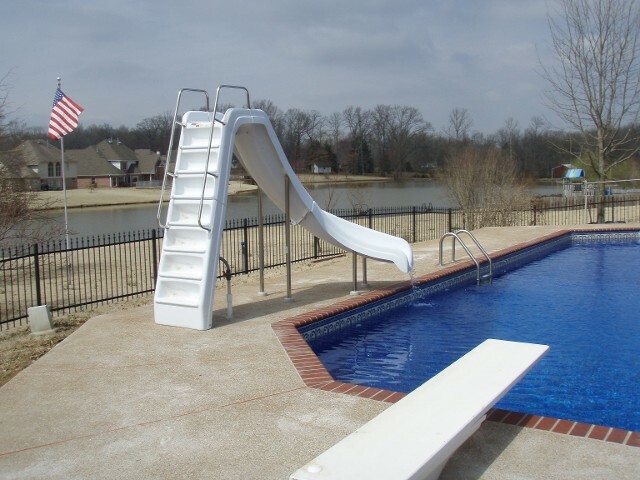 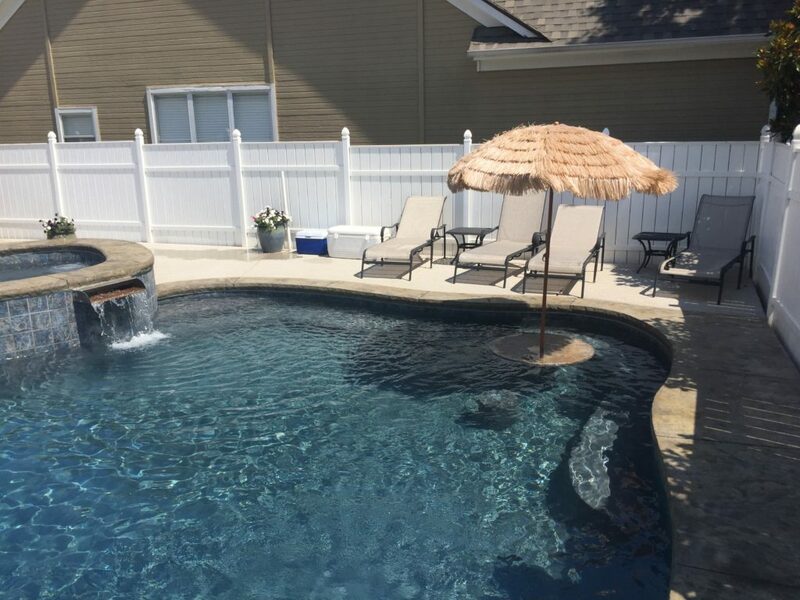 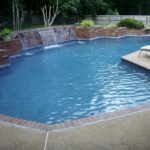 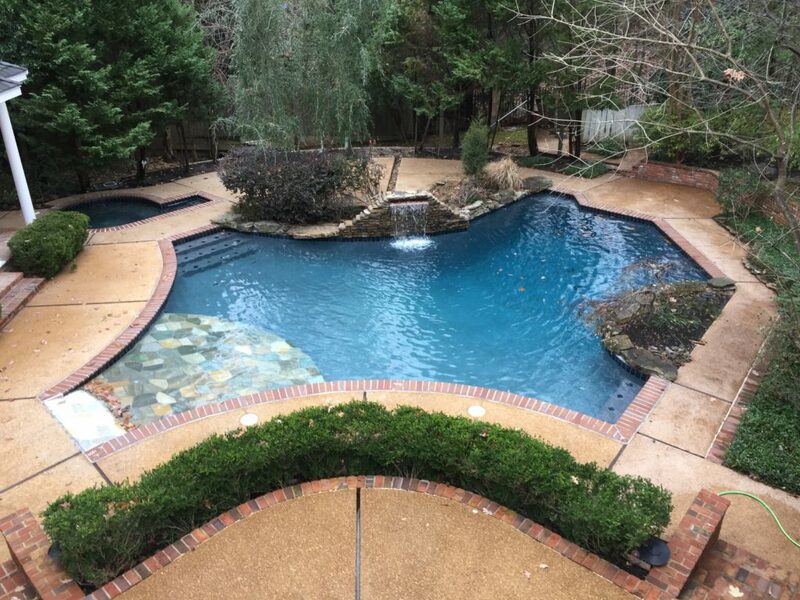 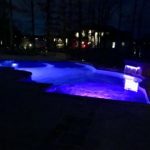 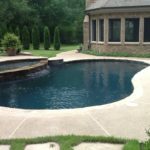 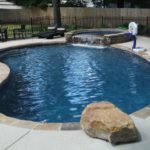 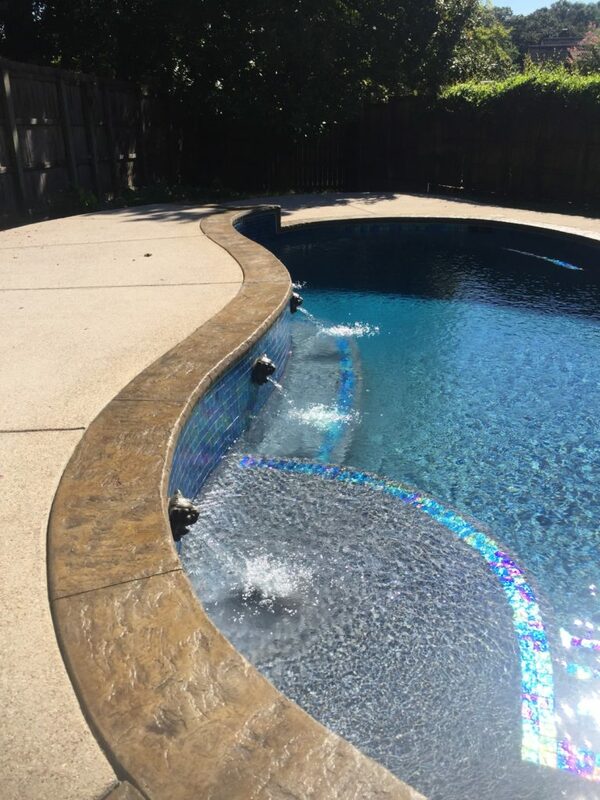 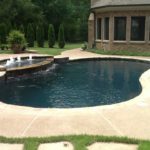 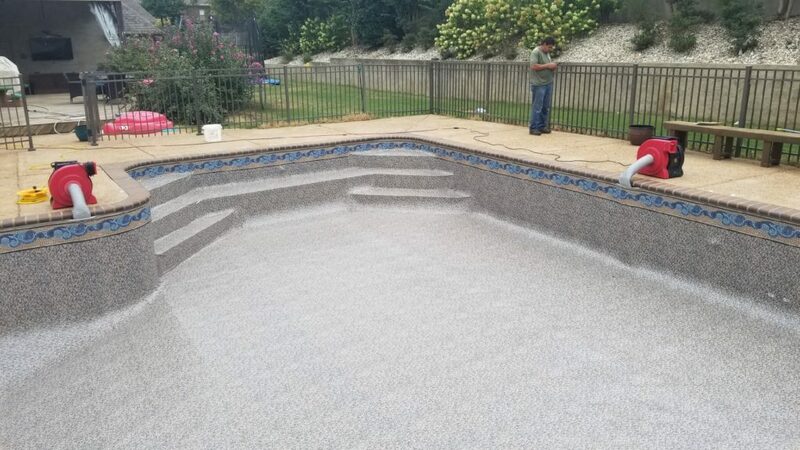 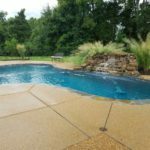 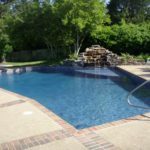 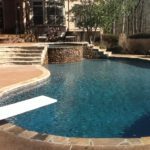 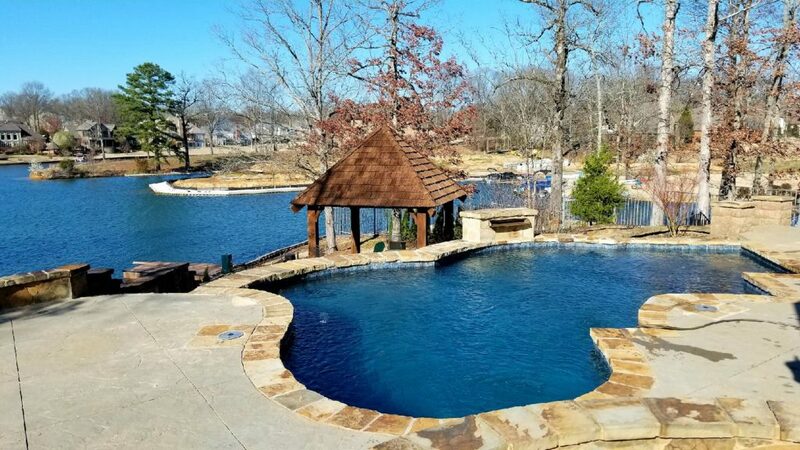 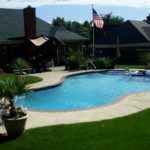 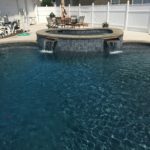 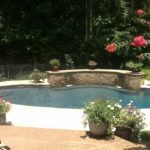 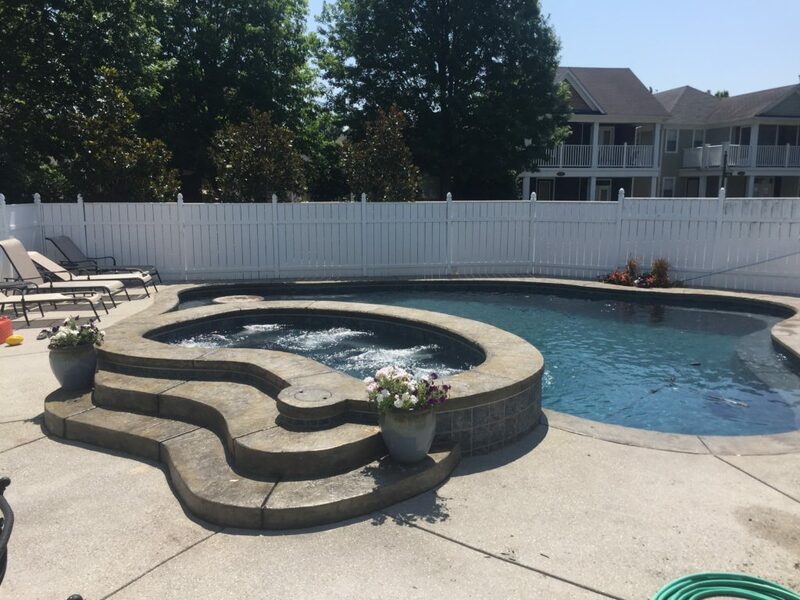 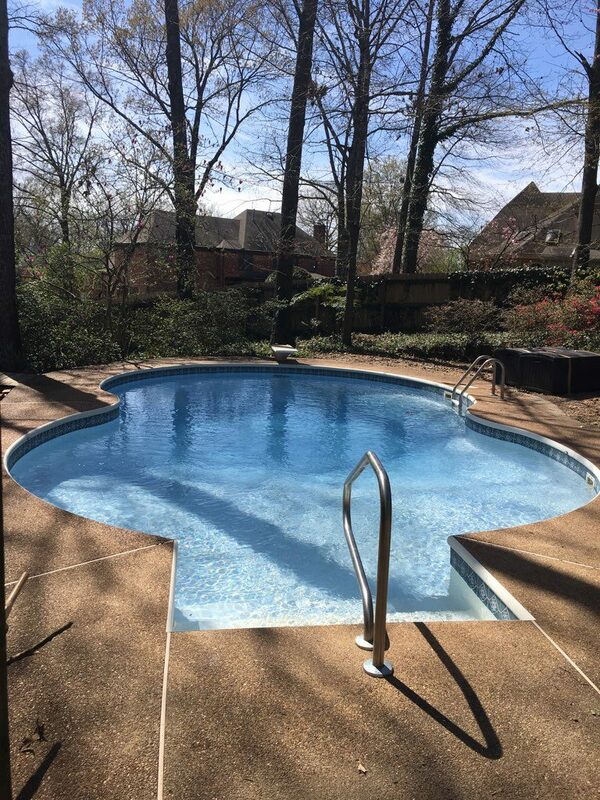 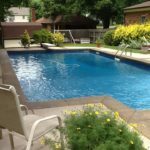 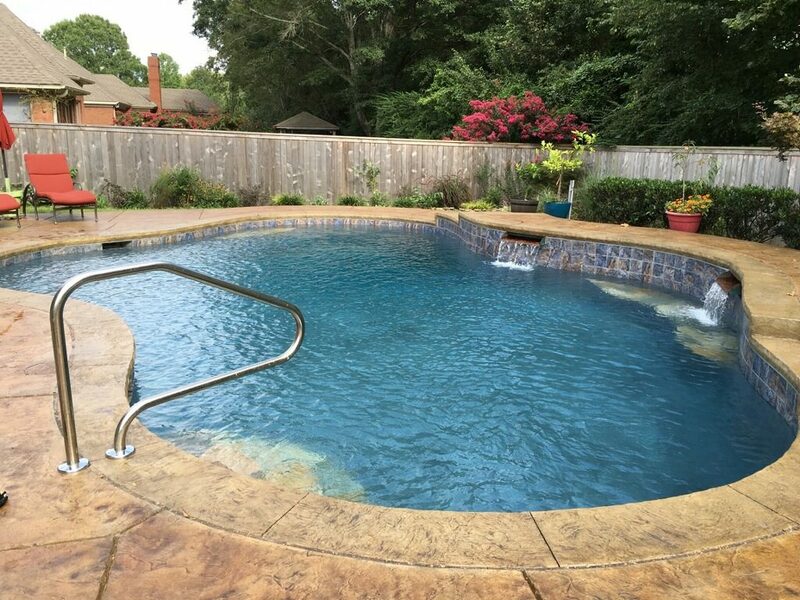 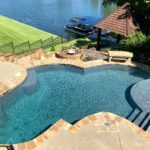 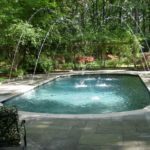 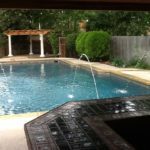 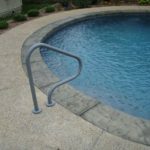 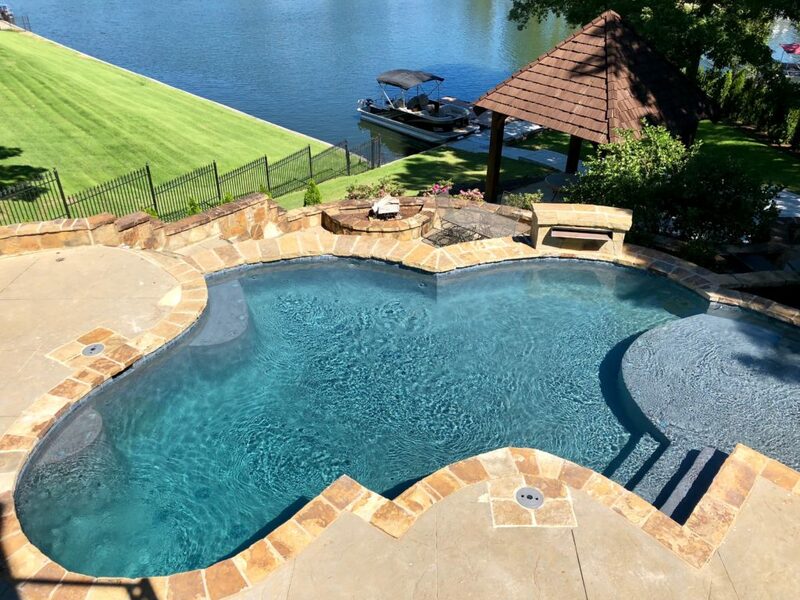 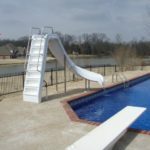 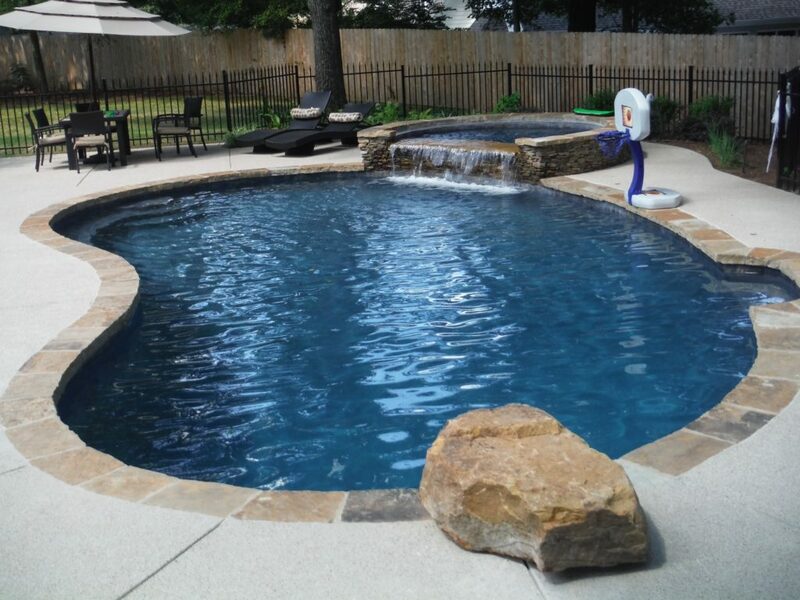 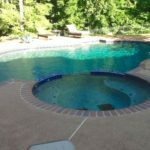 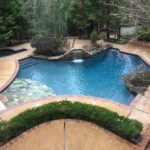 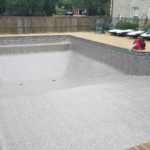 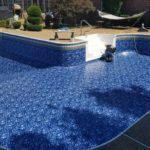 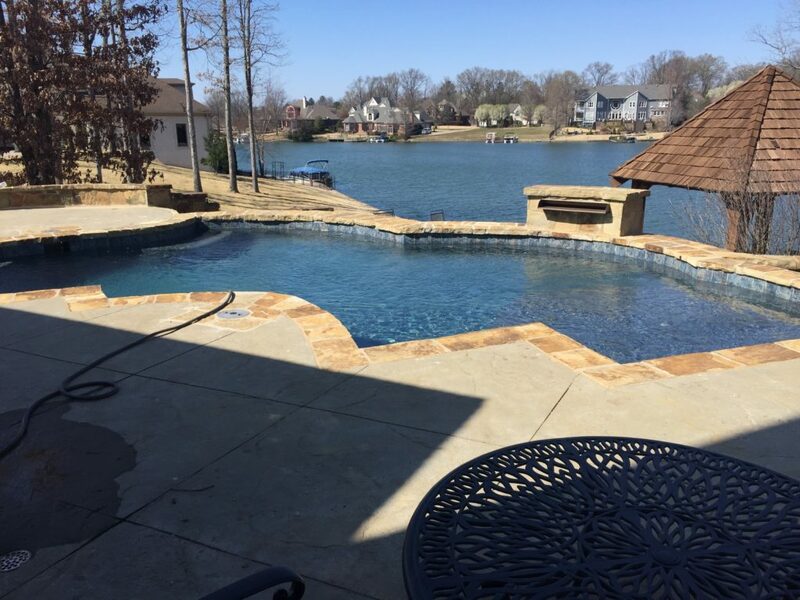 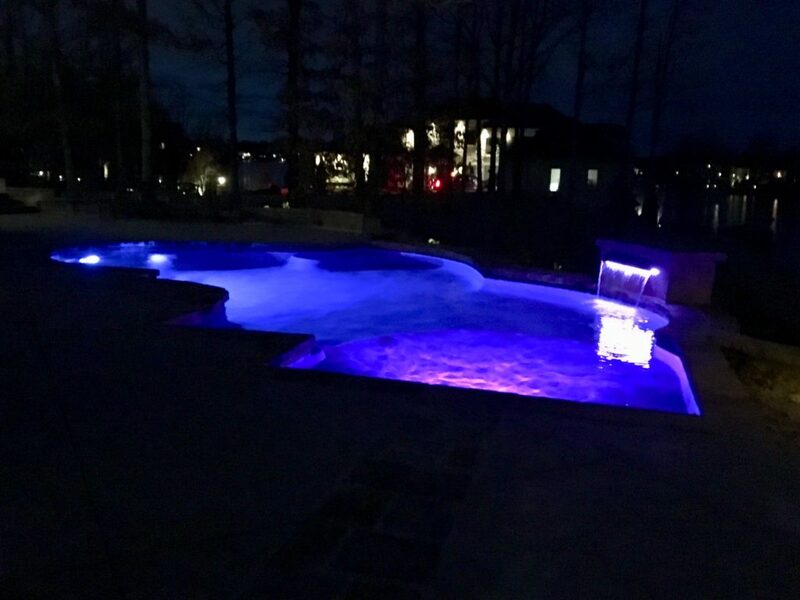 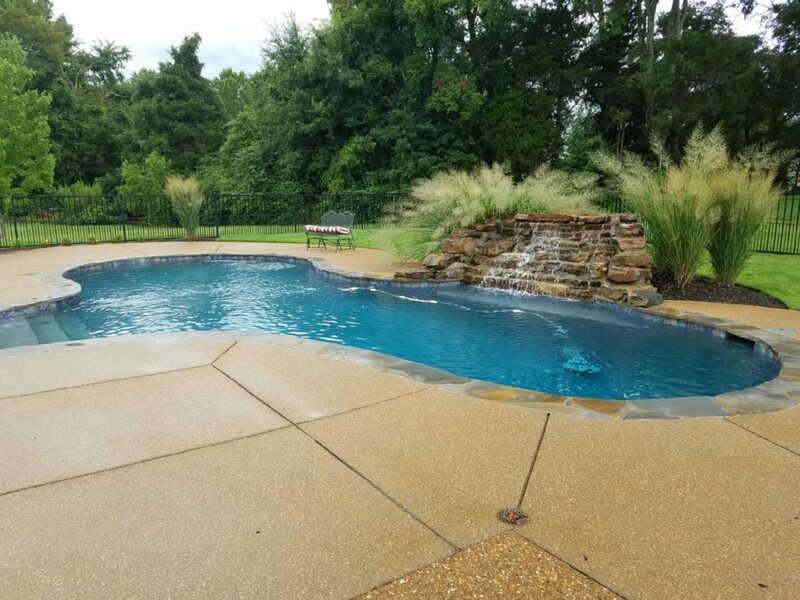 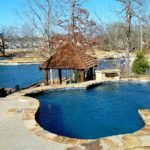 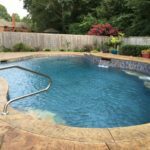 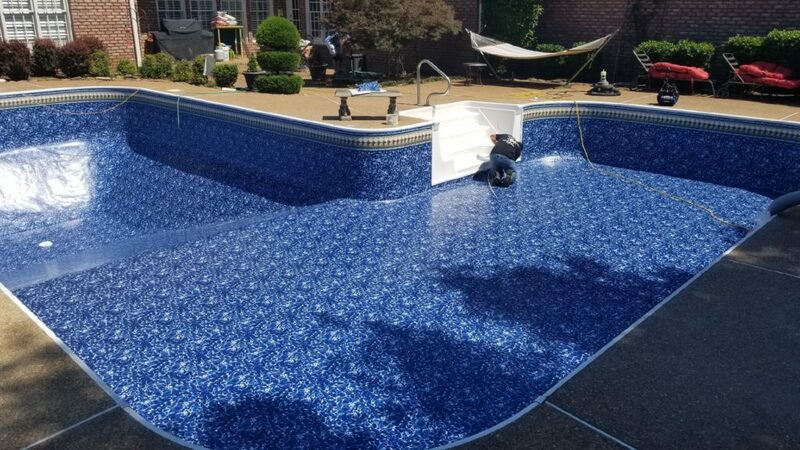 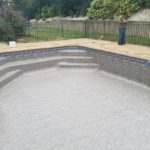 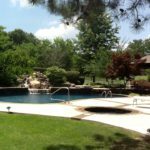 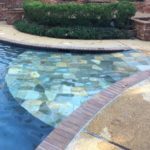 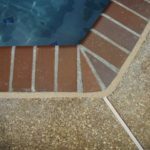 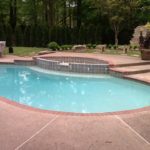 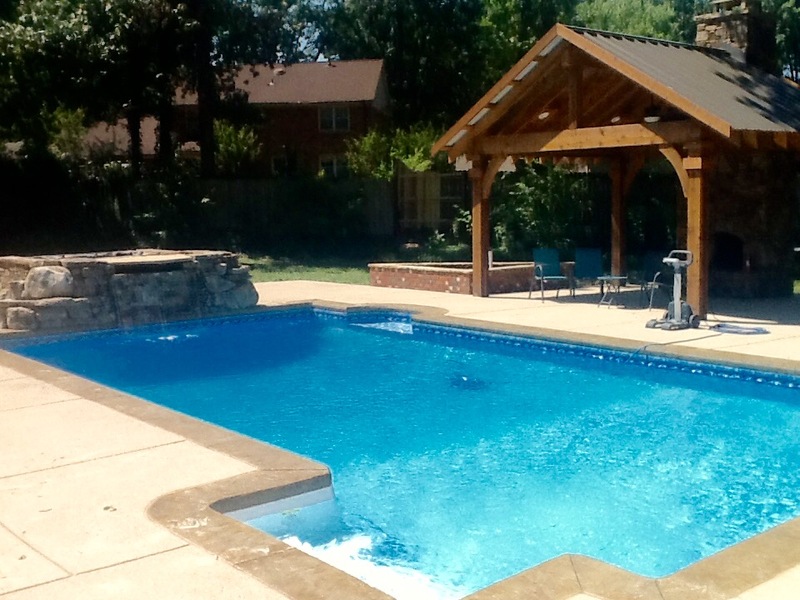 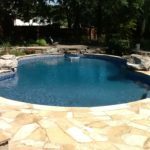 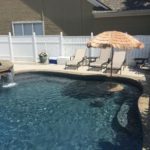 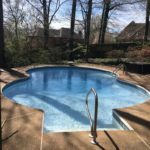 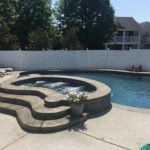 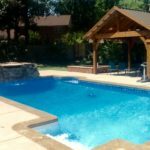 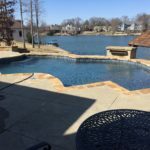 If you are considering replacing your old pool deck and want some new ideas, Contact Us and we will be happy to schedule a time to evaluate your needs and give you a Free Estimate.